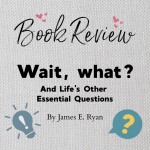 January 2018 – I Do… Now What? 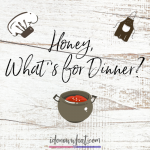 This recipe is probably my husband’s favorite dinner, and one of mine as well. It’s one of those meals that we have to force ourselves to stop eating when we’re full, because we want to keep chowing down on it! It’s a bit higher effort than most of my go-to dinners, but it’s still an easy and relatively quick meal. 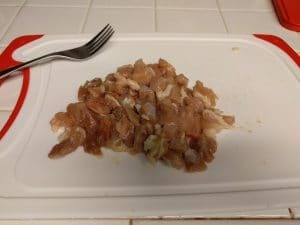 Cut up the chicken first. Cut it into small chunks, about what would fit into a ¼ tsp measuring spoon. Place it in a large pot with the chicken broth and bouillon. Set it to medium-high with lid on, to boil. While the broth is heating, cut up the baby bok choy and scallions. 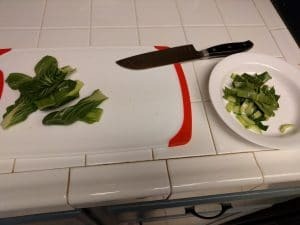 Use the green leafy part of the baby bok choy and a small amount of the white stem, and cut it into thin strips. 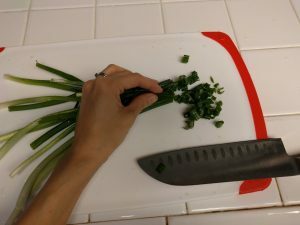 Cut off the ends (both white and green ends) of scallions and peel away any dry outer skin before slicing it into thin circles. 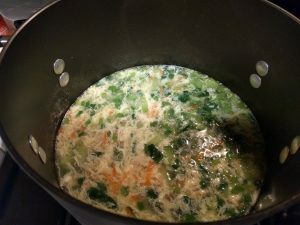 Once the broth has started to boil, add the carrots, baby bok choy, and scallions. Reduce the heat to medium. Continue to cook, uncovered, for about 10 minutes. Meanwhile, set a medium pot of water to boil. Cook the noodles following the package instructions. 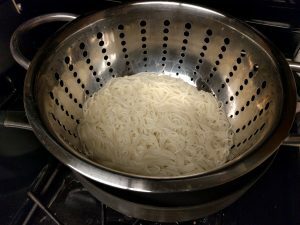 My preferred noodles take only about 2 minutes to cook. 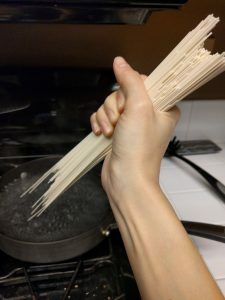 After the noodles are cooked, drain them and set them aside. In a small bowl, crack eggs and scramble them with a fork. Then pour them into the soup, stirring immediately. Reduce the heat to low and cook for another 5 minutes. 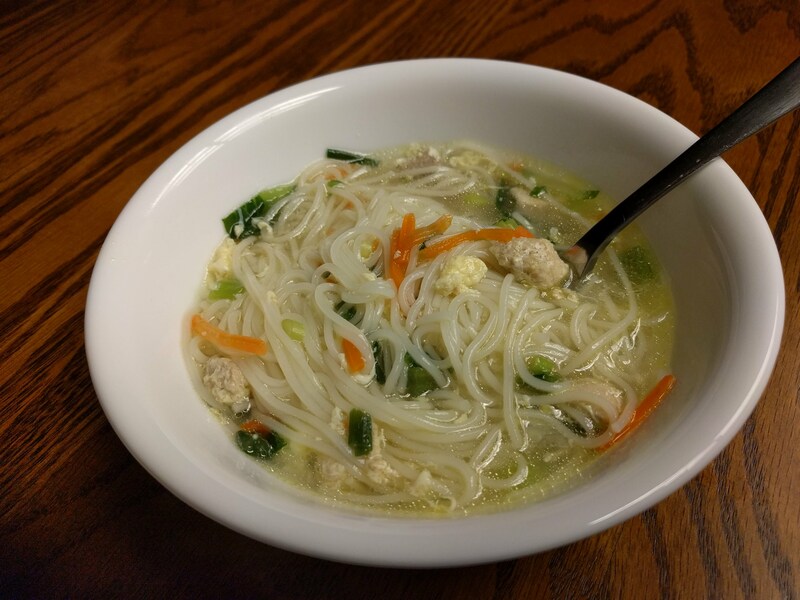 Add the noodles to the soup, stir well, and serve. Delicious! This year has been a big one for our family! In January, we sold our travel trailer, which we had discovered was more work than it was worth for us. We also sold our truck later, and bought a small car for Cory to drive to work. I am still a proud minivan driver. In February, Cory and I celebrated our ninth anniversary of being a couple. We have grown so much in the time we have been together! Since we were so young when we met, it really does seem like a lifetime ago. Becoming adults together has been a great adventure. In March, we bought our first house and moved. In the process of moving, we had a terrible accident in which two of our dogs killed our three guinea pigs, Penelope, Clementine, and Amelia. While moving into our new house was exciting, this loss was a heavy shadow over that time. In April, I completed my Hypnobabies Instructor training. Later that month, we adopted our cat, Luna. In May, I graduated from the Christian Coach Institute as a Professional Christian Life Coach. 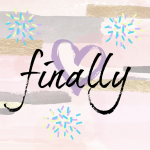 This was a major goal of mine since before Cody was born, and I was very excited to reach it. In July, I received my Hypnobabies Instructor Certification, and turned 25 years old. In August, Cory and I celebrated our sixth wedding anniversary, and Cory turned 26 years old. In September, our daughter Abigail was born. We had a wonderful planned home birth. 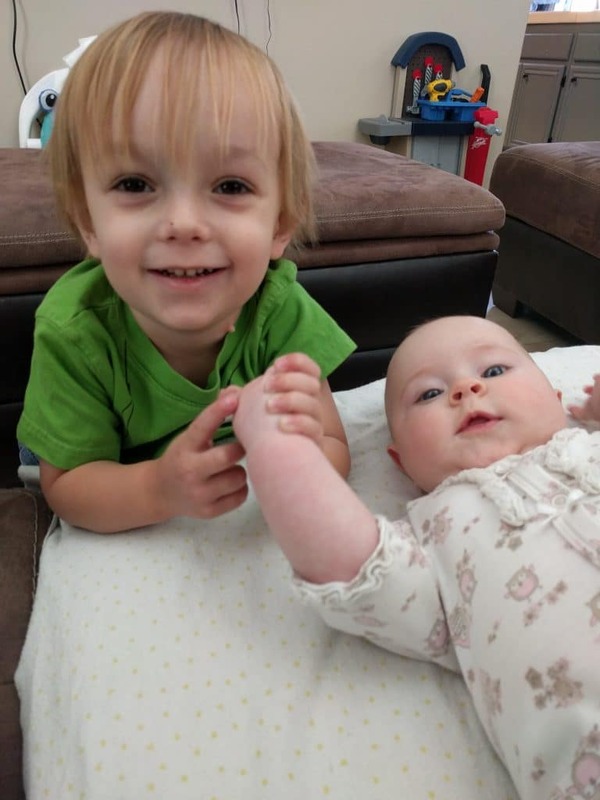 We have decided that she will be our last biological child, and we will wait at least three years but possibly longer until we pursue adoption. 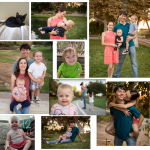 In October, Cody turned three years old, and we celebrated with a small family gathering. At three, Cody is much more independent. He was weaned this year, and has started to eat more food slowly but surely. He can do many things on his own and doesn’t need constant direct supervision. He talks non-stop and is very active. He is small for his age, which makes sense because I am also quite small and Cory is thin. He is not yet potty trained, but we will get there when he’s ready. In December, we adopted our puppy, Macy, who is now just under three months old. She is our fourth dog, and our last for now. Marley is approaching 13 years old, but in great health overall with the exception of his heart murmur. Sky is now seven years old, and Lila is going to be two soon, and both of them are in excellent health. Anyway, financially this year has been tough. 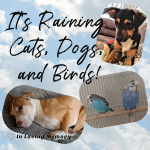 Buying and improving our home, our pregnancy and baby expenses, my career trainings, and the increasing healthcare expenses of an older dog (Marley) have all been expensive. Nevertheless, we have been incredibly blessed by God’s miraculous provision. 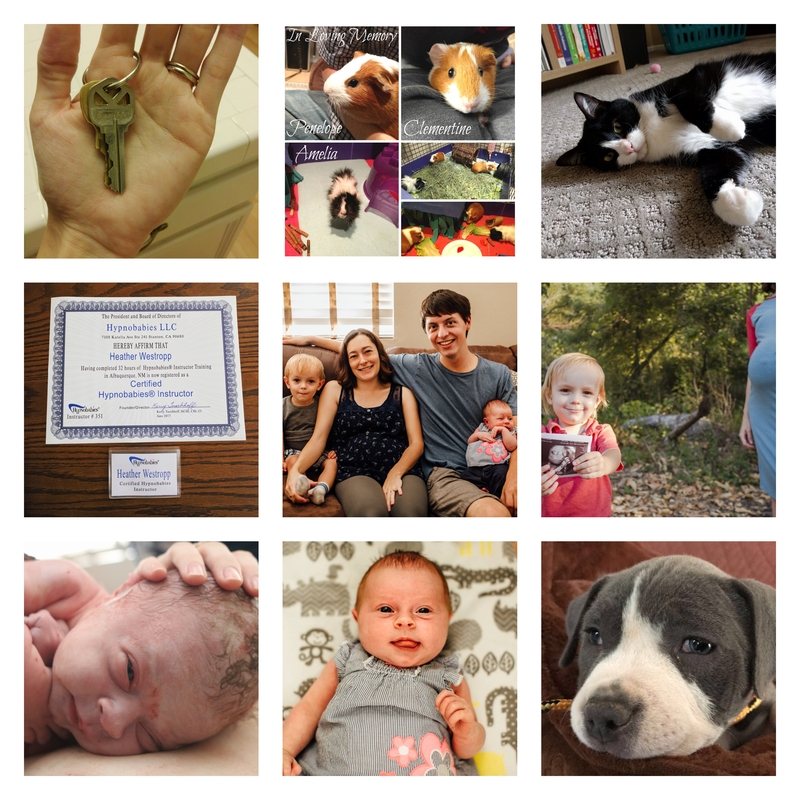 As this year comes to a close, we have now paid off about half of our debt and we have a comfortable monthly budget. Overall, this year has been wonderful. In 2018, my main task will be to continue to live this beautiful life I have been blessed with, serving the Lord as best I can in my daily life. I am excited to see what’s ahead for me and my family in the coming year! Happy 4 Months Birthday, Abigail! She weighs 16.2 lbs, and is still wearing her 3-6 month size clothes, but I am planning to move her up to 6-9 months soon because her pants are all pretty tight and short. She still has beautiful blue eyes. She hasn’t grown any more hair since being born, and in fact she has lost some! She has a little bald patch on the back of her head, which is common for babies with hair. She does not sleep through the night anymore, even though she did for a short time when she was younger. Now she wakes up about three to four times per night to nurse. She’s also become a pretty wiggly sleeper, which is somewhat annoying, but I wouldn’t give up snuggling with her at night for anything! She loves to sleep on her belly, and will almost always roll over to that position while sleeping, if she fell asleep on her back. She still loves sucking her thumb, and sometimes her whole hand. She isn’t on a nap schedule yet, but she tends to take one or two long naps each day (a couple of hours), along with several more short ones (10 to 20 minutes). She’s becoming more aware of her surroundings and showing interest in grabbing objects she sees. She’s a notorious hair-and-skin-grabber. She wants to be held a lot more often now, but she still has times where she’s content to just sit in her bouncy seat or lay in her playpen or on her playmat. She can really bounce herself in that bouncy seat, and seems to love it! 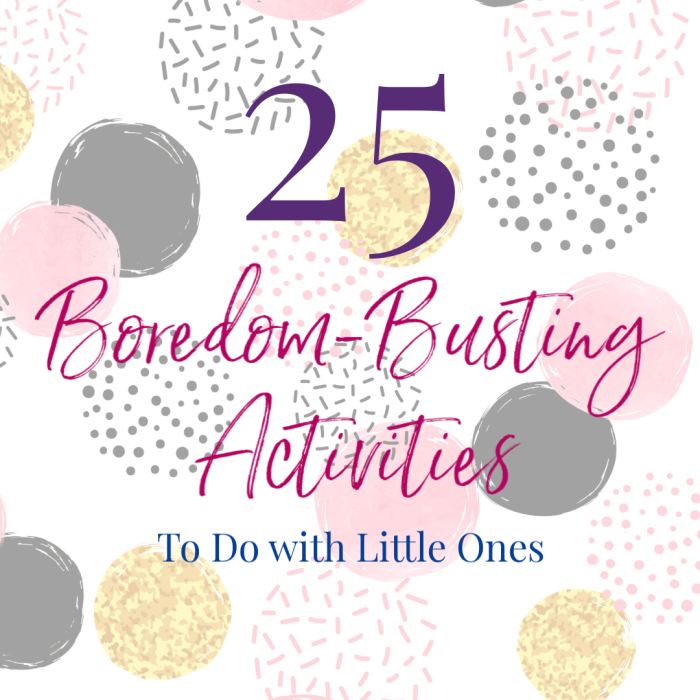 She is generally content, easy to please, and easy to make smile and giggle. She giggles the most at Cody. He can make her laugh by doing nothing at all, just looking at her or sometimes just making a silly noise. They seem to love each other very much, which is the sweetest thing ever. 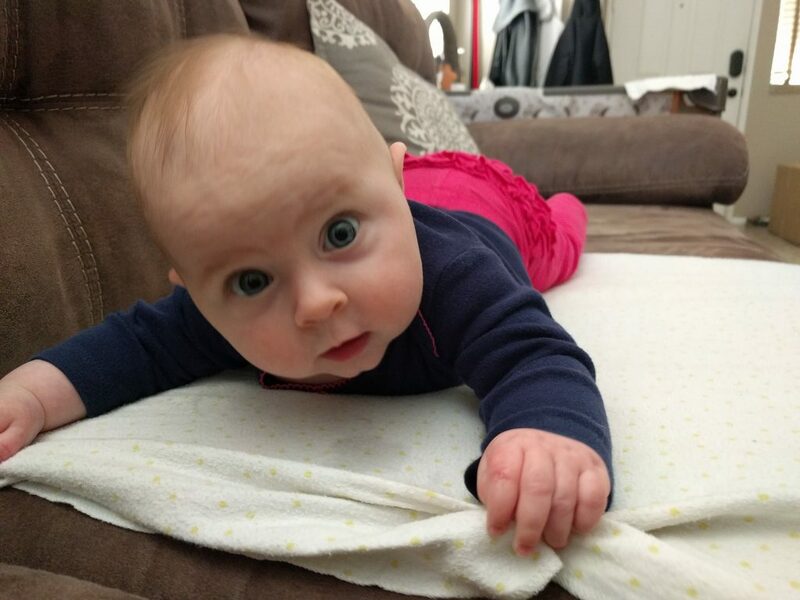 At four months, Abigail is able to roll over onto her belly, though she never rolls back. Whether that’s because she doesn’t want to or hasn’t figured it out yet is uncertain. She’s more stable when we hold her in a supported sitting position or a standing position, but she still has a ways to go until she’ll be sitting up on her own. She’s a great nurser still, of course, and I suspect she might be a better food-eater than Cody was when the time comes because she always seems to stare at our food. But we’ll see! So far she doesn’t have any of her teeth yet, but she seems to be teething still on and off. Right now, we’re battling a diaper rash, an issue we never had with Cody. It’s funny how different these two are! So that’s pretty much it. Not much has changed with her in the last month, but she’s still growing steadily and she’s a happy, healthy girl. 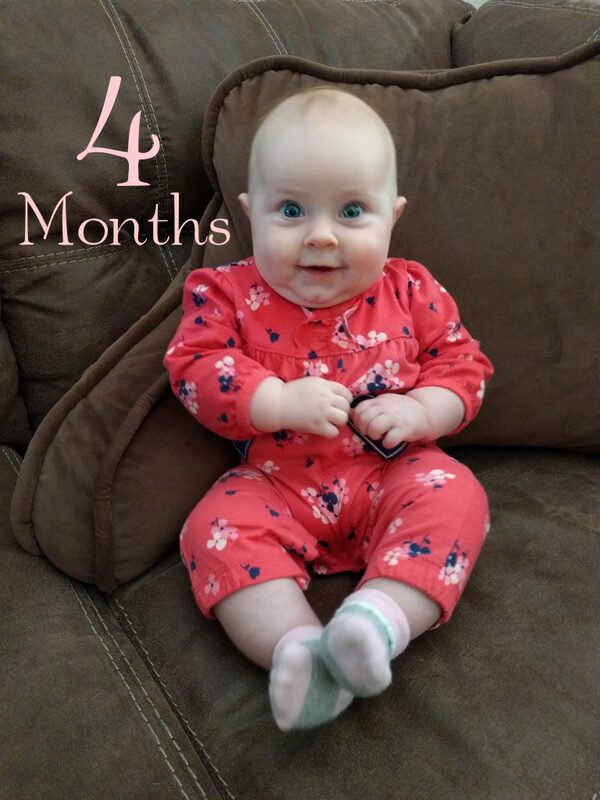 Share: Happy 4 Months Birthday, Abigail!